"A $40,000 career boost and a new relationship ... in 3 weeks!" I have been conferring with Rupal for about three weeks. My main goal in working with Rupal was to increase my client base. I recently moved to Maryland from Florida and started my own law practice. Building the practice here has been quite challenging. Since implementing the changes that Rupal suggested, I have received eight calls from new clients and have generated fees in the amount of $40,000.00. Even more exciting, I received a call today inviting me to be interviewed to appear on WUSA television station to talk about Estate Planning for pets. In the past I had sent my press releases but never heard from anyone. I sent over 100 press releases. It took Rupal's work to make this happen. This will be an amazing opportunity for me to get publicity for my law practice. Additionally, I am single and was interested in meeting a man. Since working with Rupal I have met a few potential men to date. One in particular is very appealing to me and I really enjoy him. I am totally committed to working with Rupal and I am convinced that she has made a tremendous change in my life. Let Me Give You an "Unfair Advantage"
Did you know that the unseen energies in your environment directly affect the opportunities and luck that come your way? And did you know that if you properly harness these powerful energies, you can immediately transform your life? Imagine: suddenly and effortlessly your business increases, money and legal problems vanish, you win a promotion, your children excel, you thrive with more energy and less stress, arguments give way to happy harmony. Imagine even having the power to defuse accidents, disputes, and disease before they can threaten your well-being. It's not wishful thinking: It's a 6,000-year-old science. 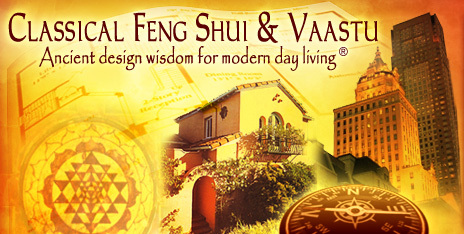 Once the exclusive - and highly guarded - secret of Asia's most powerful rulers, traditional Feng Shui and Vaastu (Indian Feng Shui), enable you to make subtle changes in your environment that powerfully deflect negative energies and surround you with positive energies that attract money, health, harmony, and good fortune. But unlike "hobbyist" or "new age" Feng Shui that promises to clear clutter from your home, the authentic (Classical) practice of these ancient energy sciences clears problems from your very life itself. 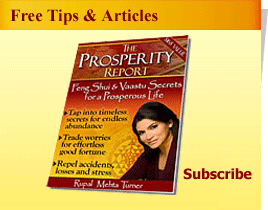 Rupal Turner is a highly sought after consultant and one of America's leading experts in Classical Feng Shui and Vaastu. Trained by two of the world's top masters in both sciences, Rupal uses precise mathematical calculations and energy principles to help her clients get unprecedented results. Her high profile clients include attorneys, economists and investment bankers, to Washington socialites, television personalities, a former Pentagon general and members of two U.S. Presidential families. She is even called upon for advice by other feng shui colleagues. If you're ready to unlock the power to transform your business and life immediately, call us now for a consultation. To learn how our services can give you an immediate edge in your business and personal life, please contact us or call 301-987-0108 to set up a consultation. 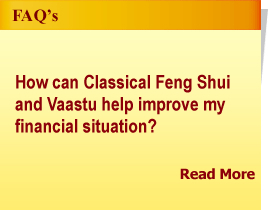 To learn more about Feng Shui and Vaastu, click here.